We were rain free for most of the day yesterday and the children were able to explore the grounds of Port Regis with a great game of hunt the teacher. 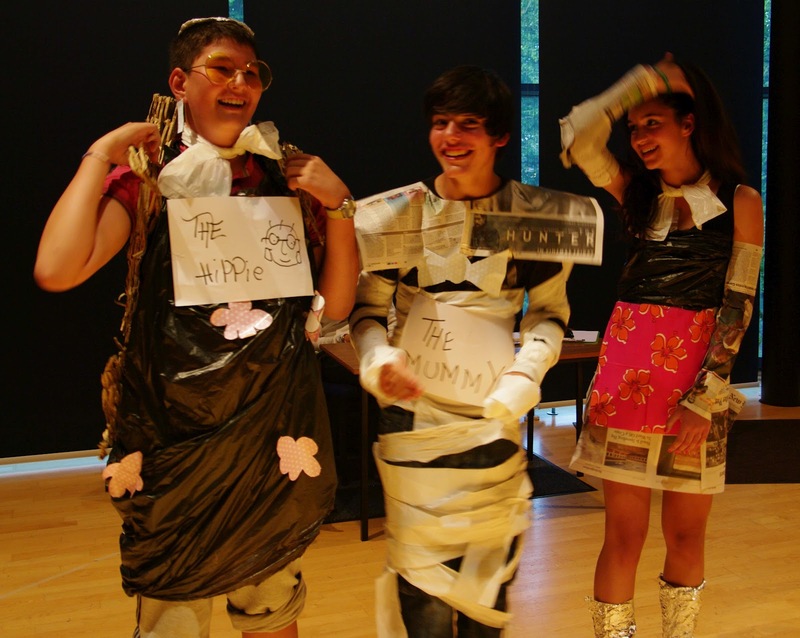 The hilarious 'Rubbish fashion show' was held on Monday evening during which half of the students were dressed up by their 'designers' using plastic bags, newspaper and whatever else they could lay their hands on. 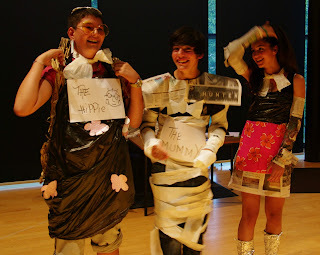 Good fun was had by all involved and of course all the materials used were sent to be recycled.